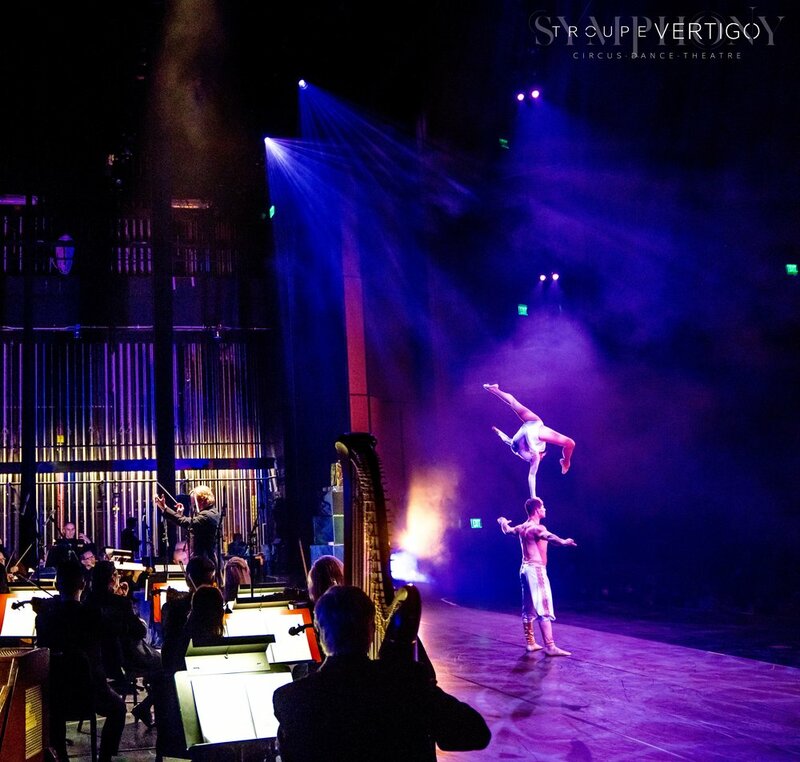 Troupe Vertigo has been honored to be creatively involved with numerous national symphonies contributing widely in creating a theatrical sensibility that embraces the grandeur of the Concert Hall. 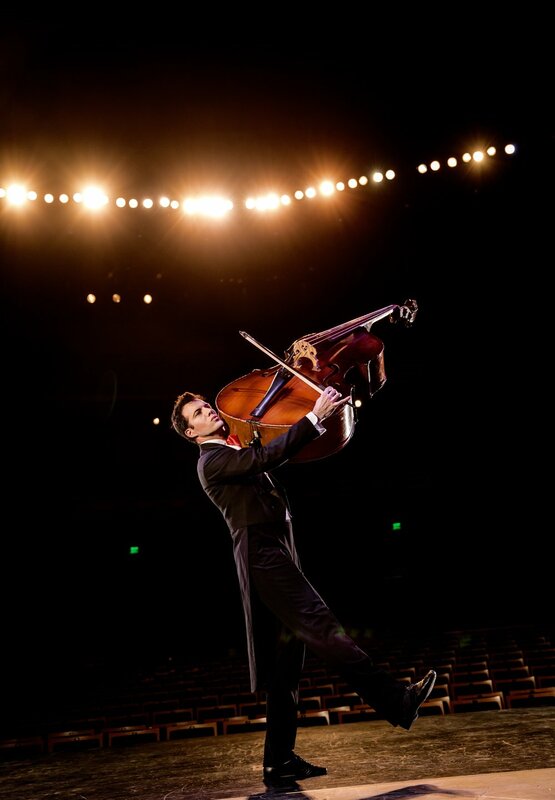 They have been called upon to create custom ensemble based themed shows where the high caliber cirque acts are woven together seamlessly with each symphonies unique musical selections, creating an evening of stunning physical feats choreographed into works of art. Invite your audience's imagination to twist and soar as we guide them on an thrilling adventure of beauty, amazement and technical prowess. 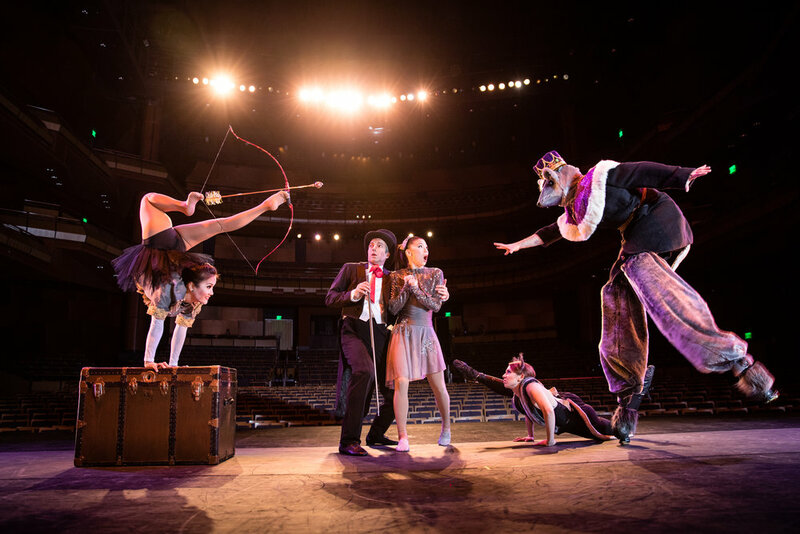 We are thrilled to be currently collaborating with one of America's premier Maestro's Jack Everly on Cirque Goes Broadway & Cirque Goes to the Cinema and additionally with the Phoenix Symphony with the world premier of Cirque Cracker and new Cirque Ballet premiers. Created by veteran show producers Aloysia Gavre and Rex Camphuis with over 22 years of circus & theater production experience. Both reign from the theatrical circus industry working side by side staging, directing, producing , designing and choreographing. Their combined talents help bring a stunning theatrical vision that celebrates the union of both arts to the CONCERT HALL. This international cast, now all residing in Los Angeles enables Troupe Vertigo to develop, train and rehearse collectively, creating a cohesive show with choreography that utilizes the diversity of skills of each artist. Prior credits of these artists include medal winners from the prestigious Cirque de Mondial Paris, Monte Carlo International Circus Festival, International Master of Sport Acrobatics and performances with Cirque du Soleil, Absinthe Cabaret, Cher, Taylor Swift, Jennifer Lopez, Billboard Music Awards, The Grammy’s, American Music Awards and appearances in T.V. and Film including Glee, The Polar Express, Water for Elephants and Pitch Perfect 2.